Liverpool: Passed away on November 27, 2018 at the age of 91. Born on May 24, 1927 to the late Clifford and Lilian “Deane” Brown in Waterbury, Connecticut. 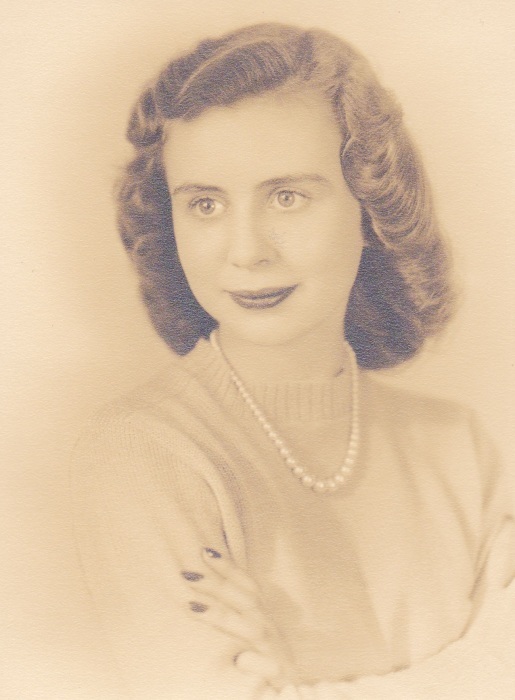 Joanne was predeceased by her husband of 67 years, John “Jack” Brophy, on December 24, 2017. She is survived by her daughter Laurel “Laurie” (Alfred) Pedrotti; son, Wayne (Darcy) Brophy; grandchildren, Matt Brophy, Alex (Molly Mayfield) Brophy; Caroline Pedrotti and Mary Brophy. She also leaves behind special niece, Karen (Jack) Twomey; special nephews, Bob (Deb) Brophy and John (Korey) Brophy; special friends Jean and Gary Craig; extended family and friends. Joanne was raised in Melrose, Massachusetts and graduated in 1945 from Melrose High School. She met her husband, Jack, in 1939 and they were engaged in 1948 and Married on May 27, 1950. Joanne attended Boston University. She was active with many community organizations including the Civic Social Club, the Corinthian Club, Friends of the Lake, and the American Cancer Society. She was a former member of Beaver Meadows Country Club, Bayberry Swim Club and was a communicant of Christ the King Church in Bayberry. She enjoyed sewing in her younger years along with knitting. 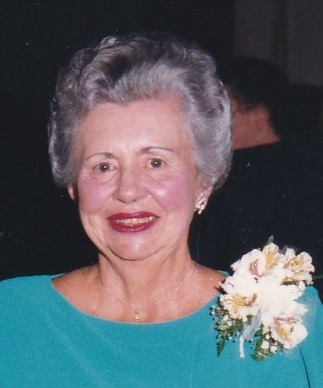 She and Jack had been residents of Bayberry for 53 years. During that time, Joanne was a member of several bridge clubs and the game became a passion as well as an opportunity to meet many people and to develop lifelong friendships. She and Jack enjoyed Syracuse University basketball and football and looked forward to tailgating. She and Jack also liked to have people over to their pool during the good weather and looked forward to family time in the mountains. Joanne loved her family. Joanne will be missed but remembered fondly by those she loved. The family wishes to extend a special thank you to all of the staff at Loretto; both Sedgewick and Fahey Rehabilitation and Comfort Care, for all of their care. Thank you Desi for your special effort to see that mom had her raisin toast and coffee in the morning and all the visits to her at the hospital and comfort care. Joanne will be laid to rest at the Onondaga County Veterans Memorial Cemetery with her husband Jack in a private ceremony. A Memorial Mass to celebrate her life will be offered on Saturday (December 29) at 11 AM at Christ the King Catholic Church, 21 Cherry Tree Circle, Liverpool (Bayberry), NY, where a reception will follow. Joanne had a strong sense of community and a love for animals. Liverpool Turkey Trot, Inc (www.liverpoolturkeytrot.com) helps assist local charities. RABBR (Recycle-A-Bull-Bully-Breed-Rescue, Inc.) is a local 501C organization that seeks to reduce negative stereotypes and to help find homes for Pit Bull, and Pit Bull mix dogs and is one of the organizations supported by the Liverpool Turkey Trot. Expressions of sympathy may be made in “memory of Joanne Brophy” to RABBR at www.recycleabull.com, or mailed directly to RABBR at PO Box 195, Clay, NY 13041. This organization is based in Joanne’s home Town of Clay, NY. To light a candle, leave a condolence, or upload a photo, please visit the tribute wall at www.murphyfuneralservices.com. Arrangements by Maurer Funeral Homes and Murphy Funeral & Cremation Chapels.